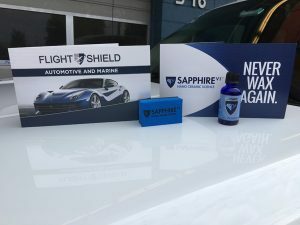 What is a FlightShield Coating for Renton Vehicles? If you are looking for professional FlightShield coating services for your Renton vehicle, you have come to the right place. At Signature Auto Detail, we offer FlightShield coating services for vehicles of all makes and models. Using this revolutionary car paint protection system, we can restore the paint and gel coat and make it look brand new again. Car paint protection systems coat the paintwork of your vehicle with a shell that does not allow small scratches and harmful contaminants to leave blemishes. It is important that car paint protection must be applied by professionals, as it takes training and expertise. We are your go-to professionals for the application of car paint protection systems on your vehicle. Whether you drive a car, an SUV or a truck, we can maintain your vehicle’s color with our FlightShield coating services. 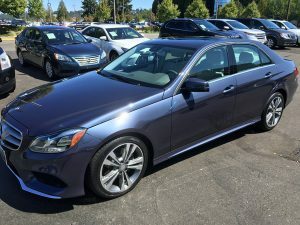 Why Do Renton Residents Choose Us for This Car Paint Coating? Your car is a big investment. That is why it makes sense to shield it from outside elements. We recommend a car paint coating system to maintain the appearance of your vehicle’s paintwork. A car paint coating is also a great option for those vehicle owners who cannot commit to regular waxing and care to maintain the shine. If you need a car painting coating on your Renton vehicle, come to us for high quality work at reasonable rates. By combining state-of-the-art car paint coating systems and highly trained and skilled technicians, we deliver excellent results to our customers. 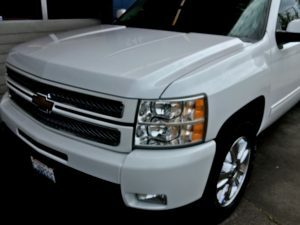 If you have any questions regarding our car paint coating protection for Renton vehicles, call Signature Auto Detail on (425) 687-2700 today. We look forward to speaking with you!